By Peter Anderson 8 Comments - The content of this website often contains affiliate links and I may be compensated if you buy through those links (at no cost to you!). Learn more about how we make money. Last edited March 3, 2010 . As I've stated elsewhere on this site, one of my goals for Bible Money Matters has been to make it one of the go-to places on the internet for personal finance information from a Christian viewpoint. I want to provide great commentary on money topics, and make this site useful, entertaining and engaging. One of the ways I've been trying to improve the site in the past year is by hosting some of the best Christian personal finance writers from all over web on this site. In the past year we've hired several talented staff writers to write for our site every week. Craig Ford: Craig is a Christian missionary based out of Papua New Guinea, so he has a unique viewpoint to offer on finances and faith. His personal site is Money Help For Christians. 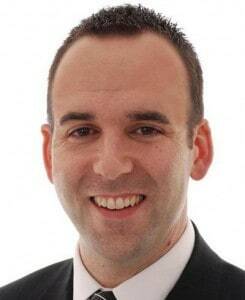 Jason Price: Jason is a personal finance writer and a volunteer Money Map Coach. His site is One Money Design. Jason Mitchener: Jason wrote Sunday devotionals for the site up until the end of the year last year, when we got the sad news of his passing. His archive of devotionals are extremely poignant, and I know you'll enjoy reading them. Today I am pleased to announce the addition of another staff writer to the site, Jason Topp of Redeeming Riches. I’ve been reading Jason’s writing over the past year and he is an extremely talented writer, and he knows what he's talking about since he's also a Certified Financial Planner. I knew it would be a coup if we could get him to write for Bible Money Matters as well. My name is Jason Topp and I'm a Certified Financial Planner (CFP) by day and a personal finance blogger by early morning. I've always enjoyed writing and when I discovered blogging, I knew it was a perfect opportunity to throw some thoughts down about two things important to me – finances and faith. I started my site, Redeeming Riches, because I wanted to help others (and myself) redeem back the misguided views that money is the ultimate source of lasting joy and redirect us back to what is, or who is – namely God Himself. My hope is to provide practical personal finance tips from a Christian perspective to help others excel in stewardship, acts of mercy and generosity. Stay tuned, Jason's first post will go live in the morning, continuing our “Ways To Make Extra Money” series! Last Edited: 3rd March 2010 The content of biblemoneymatters.com is for general information purposes only and does not constitute professional advice. Visitors to biblemoneymatters.com should not act upon the content or information without first seeking appropriate professional advice. In accordance with the latest FTC guidelines, we declare that we have a financial relationship with every company mentioned on this site. Welcome aboard Mr. Topp! The blogosphere has a strong group of Christian personal finance bloggers. I’m quite blessed to be writing with yourself, Pete and Craig here at BMM. Thanks Pete & Jason – I’m excited to be grouped in with a great group of Christian writers!! Looking forward to interacting with many of you on this site! I’m I big fan of Jason’s writing so I’m glad we’ll be reading some of this articles here on Bible Money Matters. Congrats on adding another great writer to your site! Jason has much to offer and will make Bible Money Matters an even more awesome place to go. Thanks! We’re excited to have such a great group of Christian finance writers!